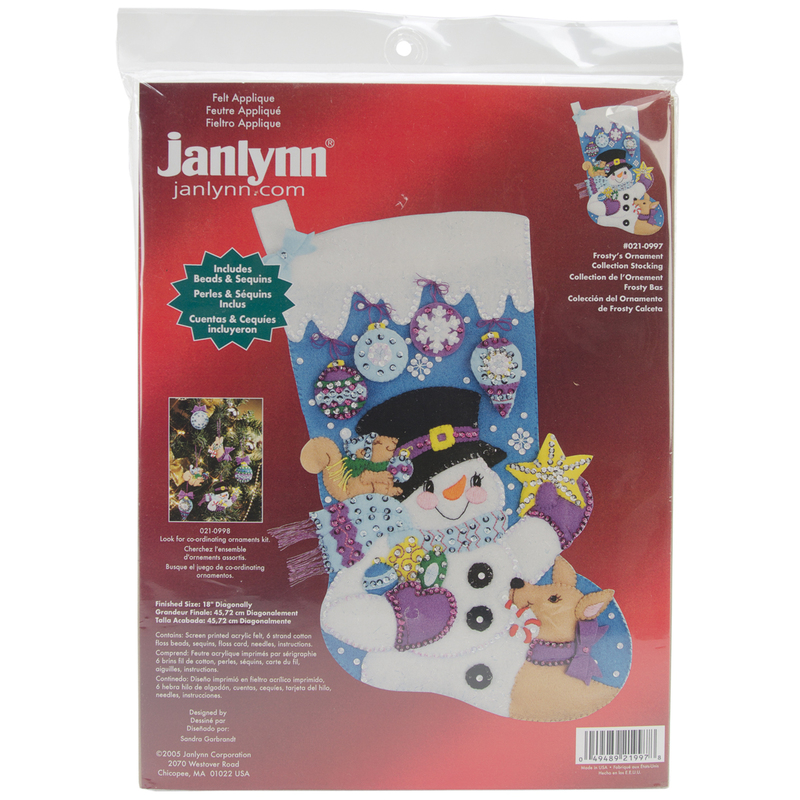 JANLYNN-Felt Applique: Stocking. Allow Janlynn make your holiday season more festive with these adorable decorations. This kit contains screen-printed acrylic felt, six-strand embroidery floss, backing fabric, sequins, beads, needles, graph and instructions. Finished size: 18in. Design: Frosty's Ornament. Designer: Sandra Garbrandt. Made in USA.